In this chapter, we propose our second performance capture framework. First, a robust method to track 3D trajectories of features on a moving subject recorded with multiple cameras is described. 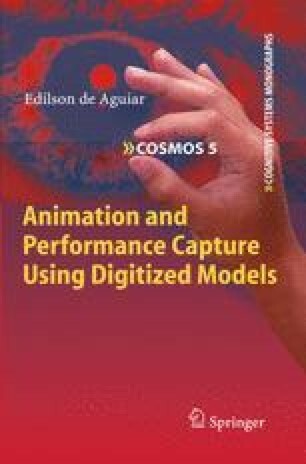 Thereafter, by combining the 3D trajectories with a mesh deformation scheme, the performance of a moving actor is captured and the high-quality scanned model can be directly animated such that it mimics the subject’s motion.